Royal family fans might erroneously assume that with her wealth, Queen Elizabeth II would eat the most delectable dishes money can buy for every meal. 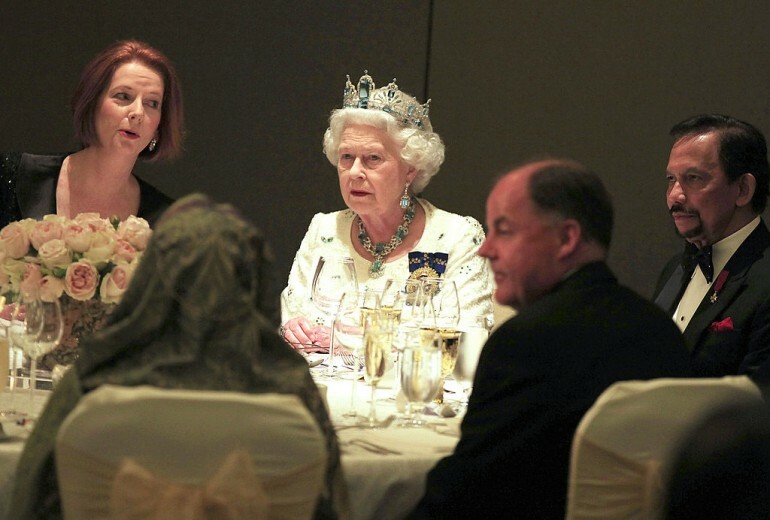 Surprising as it may sound, Her Majesty actually prefers simple meals most of the time. Here’s a list of the food she loves and some dishes she would never eat. 2. Tea — like most British, Queen Elizabeth II loves tea. In fact, she starts drinking tea early in the morning as she usually drinks tea before breakfast. As far as tea is concerned, Her Majesty prefers it plain without milk or sugar. 3. Scrambled eggs — when she gets tired of cereal, she will swap it with scrambled eggs for breakfast, and preferably brown eggs over white. On special occasions, she might ask the eggs to be topped with grated fresh truffle and salmon. “She was too frugal to ever order fresh truffles,” McGrady revealed. 1. Rare steak — not surprisingly, the Queen does not like a rare steak, just like most people. However, she will eat steak as long as it’s well done. 2. Garlic and onions — some people like to spice up their dishes by mixing in extra garlic and onions. However, the Queen avoids food with a lot of those spices, probably due to concerns of having bad breath when meeting and greeting her loyal subjects. 3. Potato and pasta — a quick look at any fast food joint will reveal that most people love potatoes based on the number of French fries orders. However, the Queen is not one of them. The reason for this avoidance is that she’s trying to watch her starch/carbo intake.